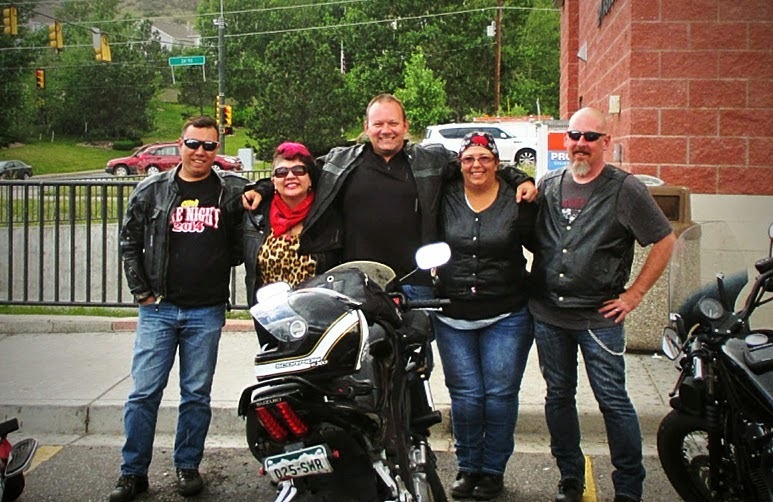 Most people have "online friends" who they never have the opportunity to meet, but as motorcycle vagabonds, we've had the great fortune of meeting many of these people. Moto-Bloggers and riders we've met on social media with whom we've shared tales, advice and information have weaved their way into our travel plans. In fact, this year when we planned our route for the warmer months, we made a list of people we wanted to visit and then worked the plan around those people as best we could. We aren't always able to meet everyone on our list, which gives us a reason to continue traveling, but we do our best. I don't think I've met anyone over my lifetime with more interesting stories than motorcycle riders. But there is something quite special about meeting the riders we've already come to know virtually. Below are just a few of those who've made the time to share with us some food, drinks and great tales from the road. Rob Thijssen, who we met from a Google+ Motorcycle Riders community, happened to be in Portland while we were here too. This was a happy coincidence to meet a friend with whom we've interacted with online so much. Last night we shared dinner, drinks and road stories, compared cultures and laughed a great deal. Recently Rob has been riding throughout Europe and keeping us on the edge of our seat with some of his stories from Greece and Croatia. 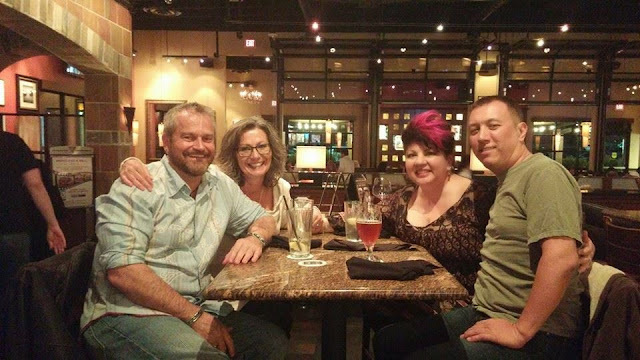 While in Denver in August 2014 we took a ride with Jason ON, Amy and Brian Green. 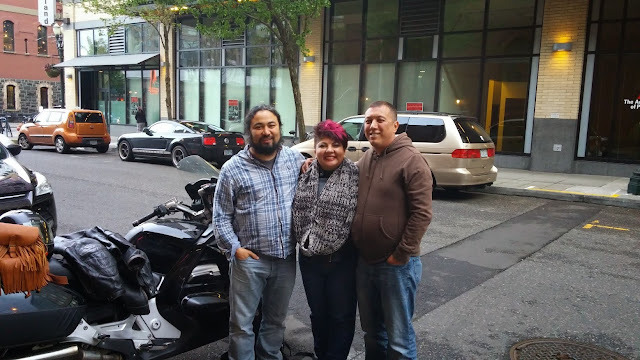 We met all three in the same Google+ Motorcycle Riders community. Todd, Rania Madanat and George Ferreira met up with us in Pennsylvania for a wet ride in the Lancaster area. We met Rania and George on Google+ and were determined to meet when we hit the East Coast in June 2013. George is also a moto-blogger, author of Riding the USA. Madhavi Priya introduced herself on Instagram one morning, telling me she also lives in San Diego and rides. We met that same day and rode together, having a wonderful time. We've ridden together, even including our fellas, several times and are now great friends. 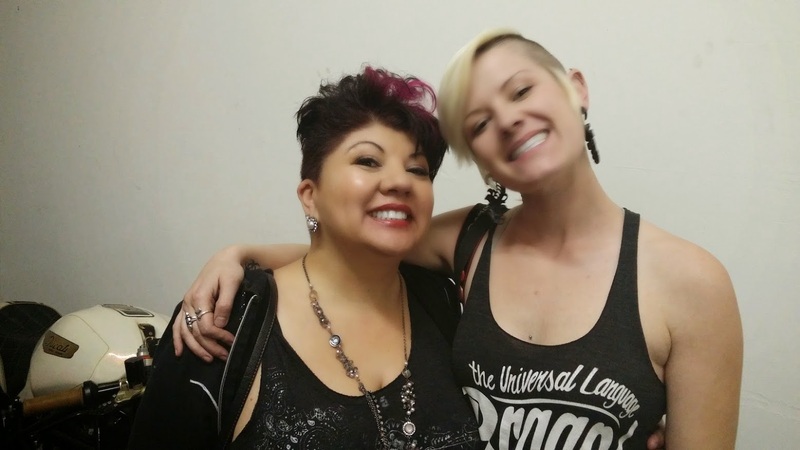 Alicia Elfving is the owner of The Motolady, in which she profiles beautiful, strong and amazing women who ride. As a long time fan of hers I contacted her in hopes we could meet. It took a few tries, but we finally got together in San Diego, then again in Long Beach, where this photo was taken in February 2015, where she was throwing a 3rd Anniversary party of her blog. We met Lucky, author of The Great Motorcycle Pizza Tour, when we visited St. Paul in the summer of 2013 and enjoyed some delectable pizza. Paul Malone is the author of Arizona Harley Dude and one of the first bloggers we met along the way. Since our first meeting in April 2013 we've stopped in to see Paul several times in Surprise, AZ, a suburb of Phoenix. Paul loves to ride often and has taken us to some of Arizona's best roads. Brad and Brandy are the authors of Troubadour's Treks and Trobairitz Tablet respectively, and longtime moto-bloggers interacting online with loads of other bloggers. They've attended some organized moto-blogger meetups in the past and love meeting other riders who also write about their experiences on two wheels. We stopped in Corvallis, OR just last week and met them along our way up the West Coast. After building a great relationship on Facebook, Chris Black and I were excited to meet when we made it to Tucson. She and her husband Mike invited us to their home for dinner, as well as inviting us to join the Royal Enfield Club of Tucson for a ride. I love hearing how social media has helped you connect with people and make new friends. I'm also pleased that Google+ is still alive. It was a pleasure to finally meet you and Steve. It was a great night talking like we were old friends. Man do I look tired in that picture. Sorry we didn't make it up to Portland to visit again. Trying to cram 5 weeks of work into 2 at the office has taken its toll. So glad I found you on instagram! A good friend you turned out to be. Glad to have ya in my life Xo!